Scooper - Fun News: What is your gender? I support cheese marriage. 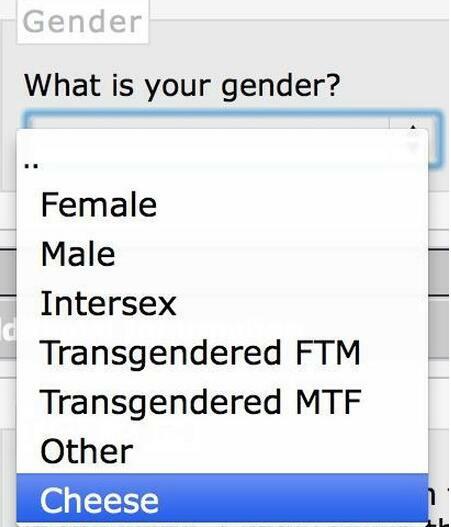 What is your gender? I support cheese marriage.